Not every card we make has to have lots of layers and lots of elements on it. Sometimes the simple cards are the nicest. Especially when using something like the Bunch of Banners framelits. They are really magnificent and should steal the show. Just like on this card I have made. 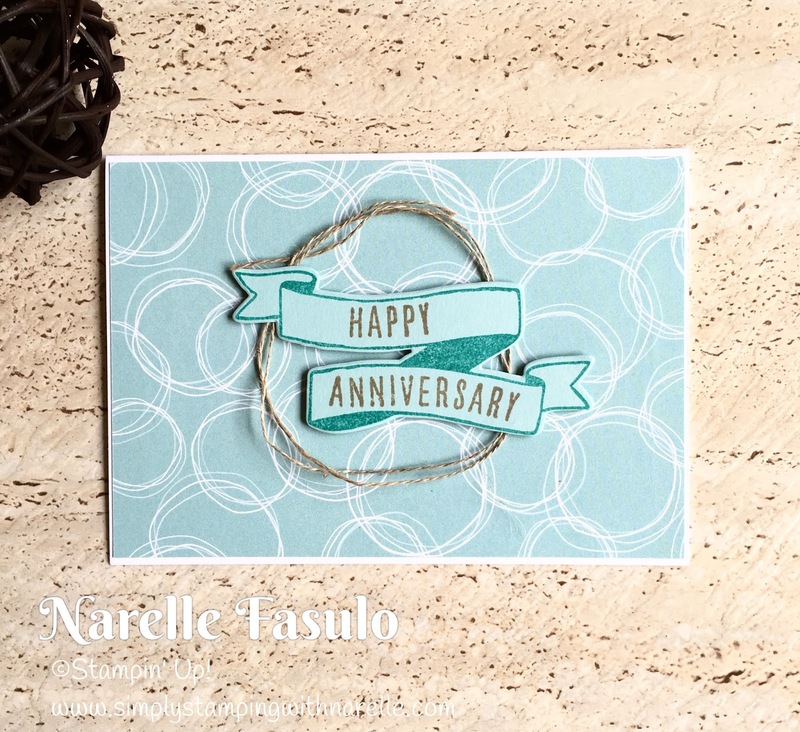 Such a simple and easy card with very little embellishment. I wanted the banners to be the focus. I chose to use a paper from the Serene Scenery paper stack as they are very natural looking designs. 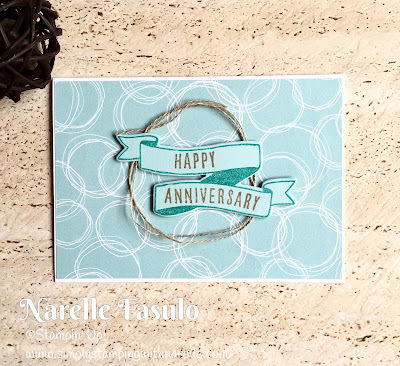 The only embellishment on the card is the circle of Linen Thread. This is a very simple but striking card. 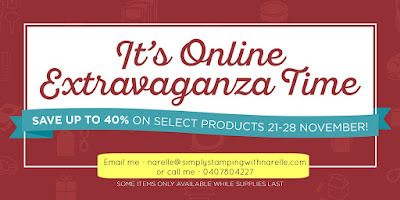 The Bunch of Banners framelits just happen to be on special this week as part of the Online Extravaganza. So grab them today while they are still 20% off.